Huawei’s sub-brand Honor has announced a temporary price cut of its Honor 8C that was launched in November last year. No deadline for the discount period has been announced as of yet. The Honor 8C has been listed on Amazon.in in black and blue colour options. Only one out of two RAM variants has been set with a price discount. The 4GB variant coupled with 32GB storage costs Rs 10,999 and the same RAM variant coupled with the 64GB storage costs Rs 12,999. The discount of Rs 1,000 is available on the 32GB version only. Furthermore, Amazon has listed offers from Jio which is giving benefits worth Rs 4,450 and 100GB of 4G benefit. Also, Axis Bank is offering 5 percent instant discount to credit and debit card holders even on EMI transactions. There is a 5 percent cashback up to Rs 1,000 for Amazon Pay EMI transaction. Also, there are no-cost EMI options for HDFC credit card and debit card holders. These offers are also applicable for a limited period of time. To recall, the Honor 8C sports an IPS LCD 6.26-inch capacitive touchscreen with a resolution of 720×1,520 pixels. It runs Android 8.1 Oreo skinned with EMUI 8.2. The device is powered by Qualcomm Snapdragon 632 processor and has a dual rear camera setup. This dual camera setup comprises of a 2MP and a 13MP sensors. The selfie camera on the front consists of an 8MP sensor. There is a dedicated microSD card slot available too that can hold up to 256GB data. Connectivity options include WiFi 802.11, Bluetooth 4.2, GPS and microUSB 2.0. The Honor 8C packs a huge battery of 4,000mAh. The smartphone comes in three colour options that includes midnight black, aurora blue and platinum gold. 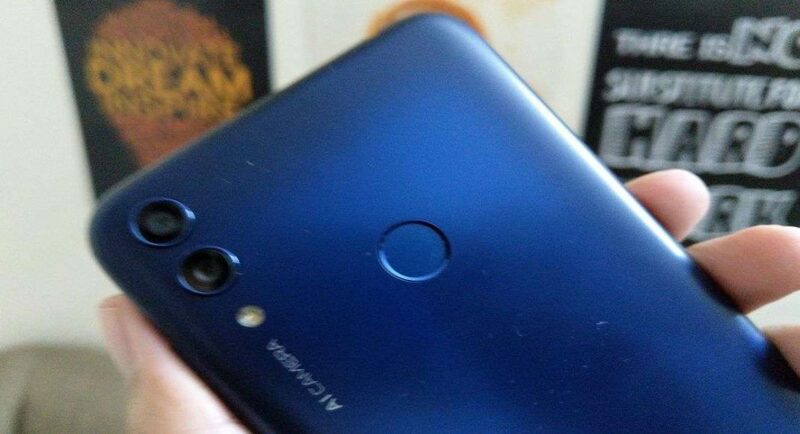 The dimensions of thee Honor 8C are 157.2 x 76 x 0mm and it weighs 167 grams. Sensors of this handset includes fingerprint, accelerometer, proximity and compass.